There’s nothing worse than being stuck indoors unexpectedly, especially with a toddler. That’s why a rainy day box is such a good idea. We have just had 5 days in a row of rain so this has been a life saver! I have one that I store in the garage, so that the toys don’t get played with at any other time. I like to include 5 or 6 different activities in the box for a bit of variety. Packaged nicely, these also make great presents for toddler birthday parties. The popcorn is a rare treat. I’ve even added a really cute popcorn cup that I picked up cheap at the dollar store. I LOVE sticker books. You can normally pick them up for around $2 at most department stores (a little more if you want themed ones like Peppa Pig or Peter Rabbit). They are a great activity to sit and complete with your toddler. My toddlers normally get a lot of books for Christmas and birthdays so I put 1 or 2 aside in our rainy day box. Puzzles are such a great learning tool and lots of fun too. The puzzle doesn’t have to be a new one, just one that they haven’t completed for a while. I prefer to make cakes from scratch, but the chances are that on a rainy day you haven’t planned to bake and are missing a few ingredients. A simple cake mix is a great way to spend an hour and you get to enjoy the cake later! If you’re like me and prefer to keep the messy painting as an outdoor activity, paint with water books are great. They are not too messy (tip: don’t put too much water in the container incase it spills) and they tend to entertain a toddler for at least 20 minutes. Do you have a rainy day box? We would love to hear what you have in yours! Tell us in the comments below. 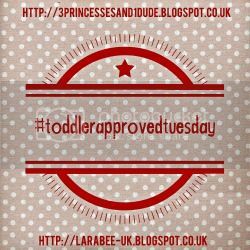 « Best Apps for Toddlers! Win a $20 iTunes or Play Store Voucher! 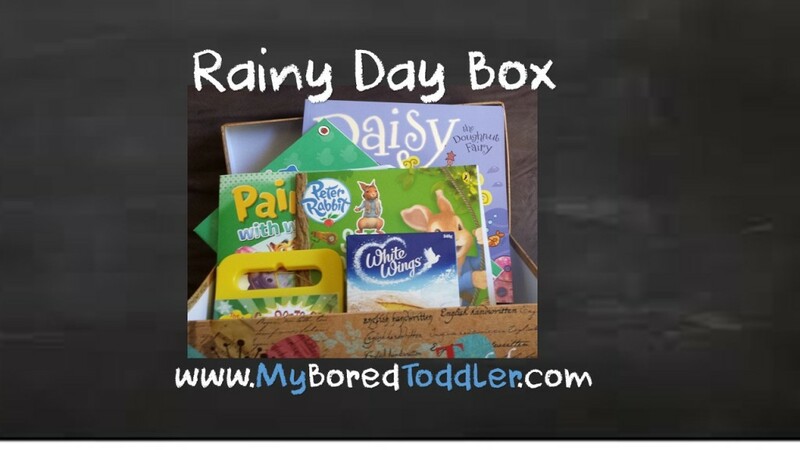 Rainy day boxes are such a great thing to have when children get a little cabin fever! It’s a fab idea to keep it hidden so that the contents are fresh and exciting when you need them. Glad you like it! It’s come in handy quite a few times at our house!